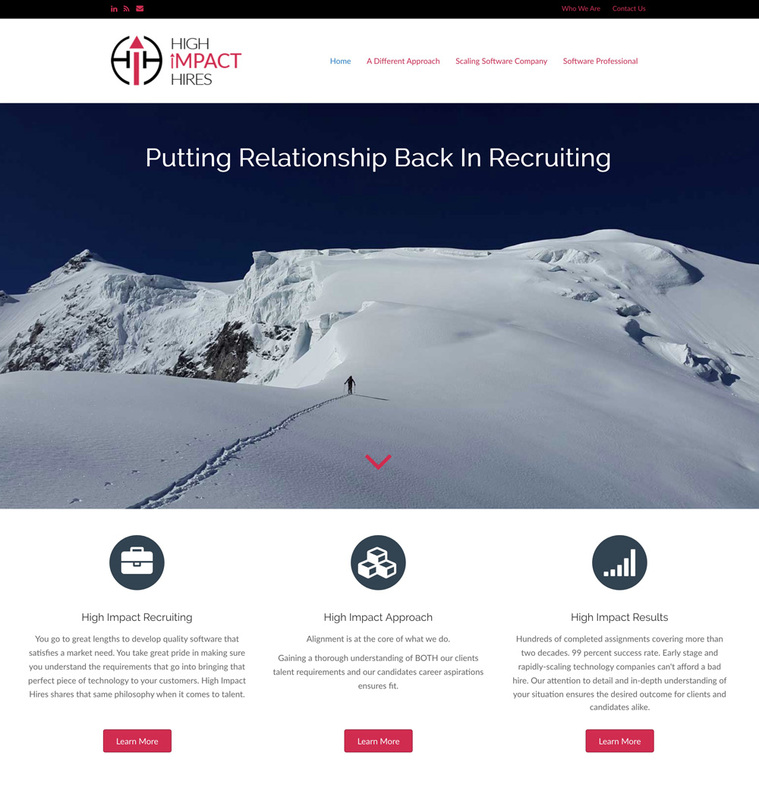 High Impact Hires is a recruiting firm run by Kevin Spanbauer, someone who is passionate about building bridges between all constituents – clients, employees, alliance partners, investors, and more. In fact, Spanbauer means “bridge builder” in German. Kevin has spent the last 20 plus years initiating, building, and maximizing opportunities in the software industry – his network of strong relationships and reputation for growing the software industry in Minnesota is stellar. In addition his track record of consistently growing revenue, expanding market share, inspiring operational excellence, and increasing stakeholder value as a change agent. We built a site that would attract both software companies with jobs and those candidates perfect for them.